A review of Uncivil Wars, which chronicles David Horowitz’ attempts to initiate genuine debate on the dangers of the slavery reparations movement and the U.S. academia’s hostility to any such debate. THE CONTEMPORARY CONTROVERSY over reparations for slavery lies at the heart of the culture war in America today. David Horowitz, the former Leftwing radical-turned Conservative, has just struck another stunning blow against the Left in his new book, Uncivil Wars. The Controversy Over Reparations For Slavery. He effectively dismantles the arguments for reparations, exposes the totalitarian mindset of the politically correct university campus that bolsters them, and provides a robust defense of American society and institutions. Today, nowhere is support for reparations stronger than in American institutions of higher learning, where tenured radical academic elites literally control free thought and expression. Indeed, the campus thought police has shut down debate on the reparations issue, demonizing and marginalizing those who dare to trespass the correct political line. In Uncivil Wars, the Conservative intellectual exposes the pitiful state of tolerance in American academia. 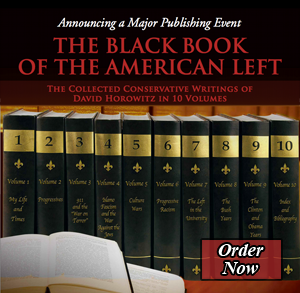 The book provides a detailed account of how the fascist Left has attempted – unsuccessfully — to prevent Horowitz’s cunning presentation of anti-reparations ideas to university students. Because Horowitz’s ideas are anti-Left — and therefore not permitted on American campuses or in the curricula of academic courses –- the author realized that he had to try a different tactic (other than writing scholarly work) to get his ideas into American universities. In the winter and spring of 2001, he tried to initiate a dialogue by airing his anti-reparations arguments in an advertisement, titled “Ten Reasons Why Reparations for Blacks Is a Bad Idea for Blacks — and Racist Too,” in college newspapers. This effort resulted in a violent attack on Horowitz and his character, as storm trooper and character assassination tactics were inflicted against him, as well as against the newspapers that carried his ad. Uncivil Wars provides an account of how many student newspapers refused to carry Horowitz’s ad, while others that did run it quickly caved into the Left’s intimidation tactics, pulled the ad and even denounced themselves Maoist-style. At Berkeley, students stormed the offices of The Daily Californian to demand an apology after the newspaper ran the ad. They got one. At Brown, student protesters threw away thousands of free copies of The Brown Daily Herald, after the paper printed the ad. The vitriolic attack, which included the typical Leftist accusations of Horowitz being a “racist” and a “fascist”, was made against an individual who had a long public history as an activist for civil rights. He marched in his first civil rights protest before many of his slanderers were even born — more than fifty years ago on behalf of President Truman’s Fair Employment Practices Commission, which outlawed discrimination against blacks in the civil service. He also spent much of his adult life in similar battles for black Americans. Today, he has family that is black, which includes his grandchildren. And yet, because he believes that reparations for slavery will divide America and harm black Americans rather than help them, he is censored and vilified by his political opponents. Horowitz did, of course, have his many defenders in the reparations controversy. They included the distinguished black scholar Thomas Sowell and the editors of the USA Today, the Boston Globe, the Philadelphia Inquirer, the Chicago Tribune, the Arizona Republic, and many other papers. In other words, when it came to the real world outside of academia, sanity and tolerance still prevailed. The reparations claimants do not address these questions because, unlike some of the social reformers of the previous generation, they are not “well-intentioned.” They are very much aware that reparations will not make things better for the African-Americans for whom they purport to speak. So why do they support reparations? Although Horowitz himself does not specifically say it, his arguments make it clear: because their agenda is ultimately a destructive one that seeks to tear down civil society, not to better it. In order to dismantle this oppression, therefore, reparations activists work for the destruction of America. Horowitz goes on to successfully demonstrate that it is not racial and class oppression that hurts African-Americans, but the breakdown of the black family and the policy of welfare that has encouraged it. This is a truth that instills terror in every Leftist, because it represents a facet of human life that the socialist must stridently deny for the sake of holding on to the progressive faith. By emphasizing the tragedy of the normalization of the single-parent family in the black underclass, the author reveals the crucial importance of individuals making and paying for their own ethical and social decisions. But the Left must run from this basic given about human nature, because otherwise it would have to abandon the fairy tale that holds its vision in place: that social structures, especially those rooted in capitalism, are responsible for all human suffering. The radical utopian dream ultimately cannot accept that humans are incapable of being their own redeemers; it cannot digest the reality that human tragedy, alienation and inequality might be rooted in the human condition –- and in the heart of man. “How can you explain to José Martinez, who may have come to this country in the last ten years, and who is struggling to put bread on the table for his family, that he has to pay reparations for an institution that has been dead for more than a hundred years, and which neither he nor his ancestors were ever a part of? How will you tell him that he has to pay those reparations to people like Johnny Cochran and Jesse Jackson who are multimillionaires, or to others who are doing better than he is, simply because they are black? In presenting these arguments, Uncivil Wars distinguishes itself as a monumentally important work. In coming to the defense of American history and institutions, it crystallizes the urgency of deciphering not only the destructiveness of the reparations campaign, but the nightmarish crisis that exists in American academia. It becomes clear that because the Left is unable to tolerate ideas that are anathema to its own, it has vehemently and ruthlessly worked to dominate and politicize the university campus. In that effort, it has succeeded, and it explains why Conservatives have been virtually driven out of academia. It also explains why, at this present moment, Uncivil Wars will not find itself into the curricula of any academic American history courses in the country. Uncivil Wars forces all Americans to confront the pathological illness that resides in their institutions of higher learning. While in the 1950s the university saw itself as having the mission of facilitating a diverse pursuit of knowledge, today it serves solely as the Left’s vehicle for political indoctrination and social change. It is here that lies Horowitz’s vital and ominous warning. Uncivil Wars is also clearly very much a personal story. It is about one man’s decision to become a warrior in a war that, by necessity, exacts a large personal sacrifice. But as an individual who comes from the Left’s former ranks, and who has witnessed the violence and death that the progressive ideology inflicts, Horowitz has clearly discerned that standing on the sidelines in the culture war is a luxury he cannot afford. It is for this reason that, in this work, as in his previous ones, he comes out swinging with the gloves off. The fight for America is on, and, as Uncivil Wars reveals, it is being lost on the university campus. Unlike many of his Conservative contemporaries, the author is ready and willing to go down fighting alone — alongside the American virtues and principles that are now under vicious attack. Despite its attempt to wipe its arch-rival out of reality, the American Left continues to face its ultimate nightmare: David Horowitz is still standing -– and talking. More troubling to the Left yet: he doesn’t seem like he’s going anywhere anytime soon. On a smaller scale, Horowitz represents to the academic Left what Alexander Solzhenitsyn represented to the Soviet regime; he exemplifies the irritating and threatening reminder to tyranny that human freedom, and the triumph of the human spirit, can ultimately never be suffocated or suppressed. Uncivil Wars is a remarkable achievement — written by an intellectual heavyweight who has been barred from academia. Tragically, tens of thousands of young minds in American universities will be robbed of the essential necessity of reading this scholarly gem. But the history of totalitarian regimes offers hope. Who could have guessed, after all, during Joseph Stalin’s reign, that, within one generation, for a brief moment in time, Russians would be able to read freely One Day in the Life of Ivan Denisovich? If that miracle occurred in the midst of the Soviet monstrosity, then who can say that, one day, there may not be a thaw in the Left’s despotic control of thought in American academia? The hope remains that maybe even within a generation, a miracle might occur inside the classrooms of academic indoctrination — and the eyes of university students will, perhaps even for a precious and magical moment, be allowed to fall on the forbidden pages of Uncivil Wars. Jamie Glazov is Frontpage Magazine’s editor. He holds a Ph.D. in History with a specialty in Russian, U.S. and Canadian foreign policy. He is the author of Canadian Policy Toward Khrushchev’s Soviet Union and is the co-editor (with David Horowitz) of The Hate America Left. He edited and wrote the introduction to David Horowitz’s Left Illusions. His new book is United in Hate: The Left’s Romance with Tyranny and Terror. To see his previous symposiums, interviews and articles Click Here.